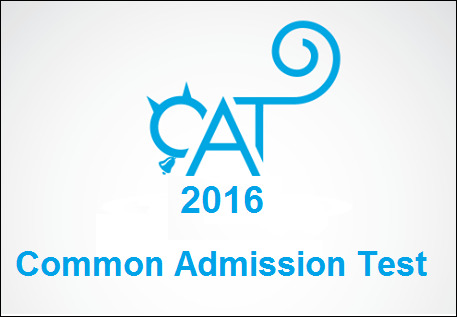 CAT Exam throwing surprises and the CAT 2016 Exam came as a big surprise. From the feedback received from Aspirants, there were quite a few doable questions across sections this year, as there were last year. But the number of tough questions seems to have gone up significantly. Presence of Easy and moderate type of questions would make the students feel that the section is not very tough. However, many Aspirants would have took it as a Herculean task to push their overall attempts beyond a certain level. With many tricky questions and the added possibility of silly mistakes, the cut-offs this year could move south, compared to CAT 2015. One significant observation that could be gathered from our expert analysis this year is that the level of difficulty of each of the three sections was very close across the two slots. CAT 2016 was unlike CAT 2015, but there was difference in difficulty level in two of the sections (LRDI & VARC). The order of questions and options for the questions was different for different students. The Verbal Ability & Reading Comprehension section is one section that most aspirants dread on account of its fickle ways. First Slot: The passage section was of moderate length and were from topics which are considered to be interesting reads - Economics, Environment, Linguistic Studies etc. However, the joy was SHORT lived as the answer options were extremely close and aspirants had to read the relevant paragraphs multiple times to get to the correct option. Aspirants ran out of time thus reducing the overall attempts in this section. The para-formation questions turned out to be some of the toughest ones seen in recent years due to the absence of answer choices. For most aspirants, it would have been a difficult to identify the starter and find relevant connections. Aspirants who tried to these questions can expect to see low accuracy and low scores from these questions. The Para summary questions can be classified as moderate and should have been attempted to boost the score. Good Attempts: 22-24. The comeback of tough DILR sections seen in CAT 2015 continued in CAT 2016 and the rampage caused by it would have left many IIM aspirants licking their wounds, unless they have prepared well expecting a tough DILR on the back of CAT 2015. This was even more IMPORTANT as the toughness of this section seems to have only increased further. The Quant section had 34 Qs with around 8 Qs of non-MCQ type. The number of questions on Geometry was on the higher side and some of them can be considered to be moderate-difficult. This was offset by the large number of Arithmetic questions which would have helped aspirants increase their attempts. The low weightage trend for numbers continued this year in the morning slot. All in all, this section can be classified as being slightly higher than moderate level (maybe a moderate plus).Good Attempts: 19-21. The Quant section had 34 Qs with around 6 Qs of non-MCQ type. As it was seen in the morning slot, the number of questions on Geometry was on the higher side and some of them can be considered to be moderate-difficult. P&C took a very strong come back this year along with Numbers, which was unlike what was seen in the first slot. There was a very good number of questions from Arithmetic, most of which could have been quickly solved by a student with moderate - good level of preparation. There were a few cases where the mathematical symbols could be interpreted incorrectly.